Nearly one week after the longest government shutdown in history that saw almost 800,000 government workers furloughed, Sen. 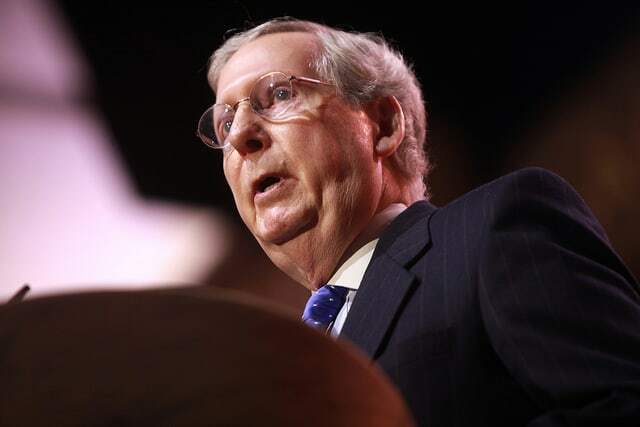 Majority Leader Mitch McConnell (R-KY) Wednesday ridiculed a proposal that would make Election Day a paid holiday for federal employees. The proposal calls for federal workers to receive a paid holiday “the Tuesday next after the first Monday in November in 2020,” and encourages private employers to do the same. Federal employees currently receive 10 paid holidays annually, including New Year’s Day, Martin Luther King’s Birthday and Labor Day. The proposal is part of HR 1, the House Democrats’ anti-corruption bill that includes proposed automatic voter registration and anti-gerrymandering measures. Watch McConnell’s speech on Twitter.